Where advice is sought via our e mail service, the advice given is solely with regard to the product in connection with it's use against the pest it is cleared for use for and we do not accept responsibility for mis-use or mis-handling. 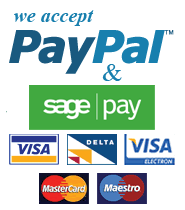 Our online credit/debit card facility is provided by Sagepay a leading, state of the art secure online payment provider. If, however, you prefer to order by telephone, we will be pleased to take your order. Please email at info[a]stopcatsanddogs.co.uk with your telephone number and we will phone you to take your order. Where possible, orders will be sent out the same day to be received on a next day or 1st class recorded service. We cannot, however guarantee this and you should allow 5 days for your order to reach you. Where items are out of stock, we will notify you by e mail. Delivery charge is £5.95 to mainland UK excluding the Highlands of Scotland. Orders outside our normal delivery charge area such as Northern Ireland, Scottish Highlands, and offshore islands will depend on weight and destination. Please phone for delivery cost in these areas.